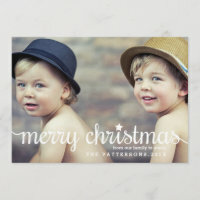 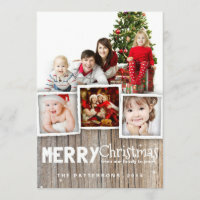 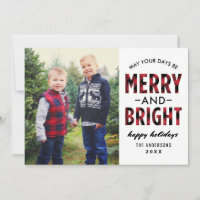 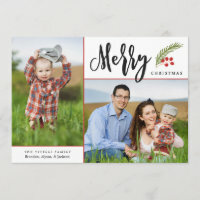 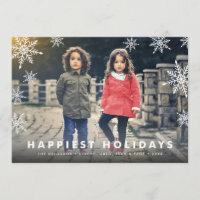 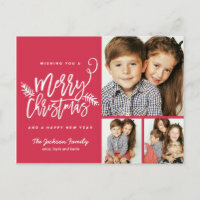 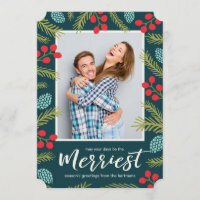 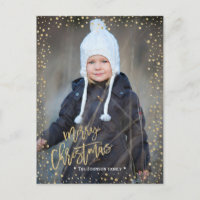 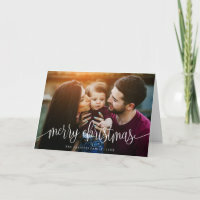 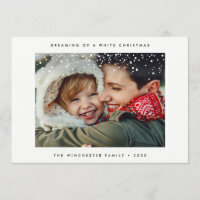 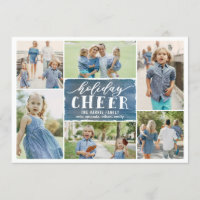 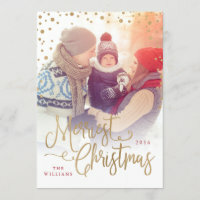 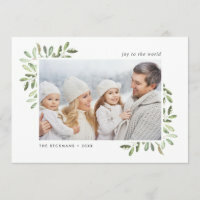 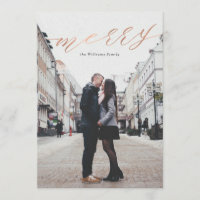 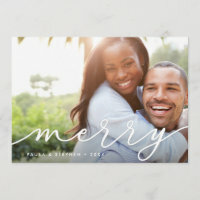 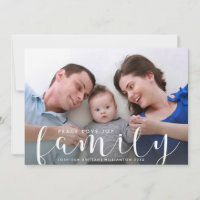 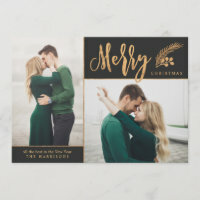 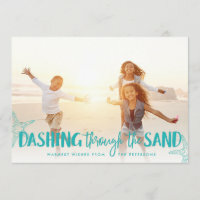 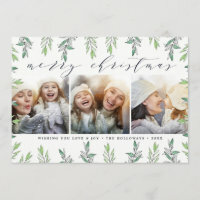 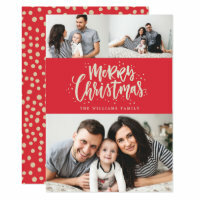 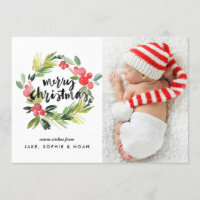 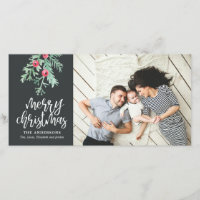 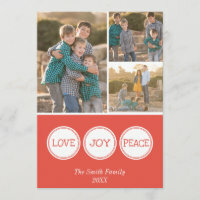 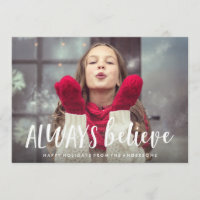 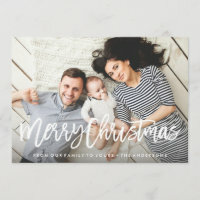 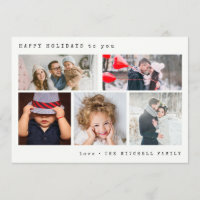 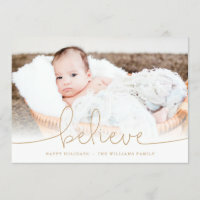 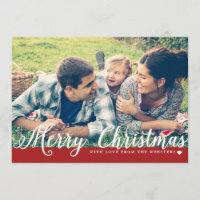 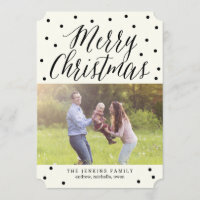 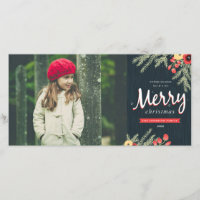 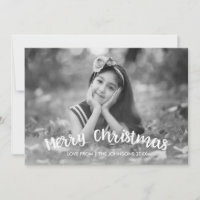 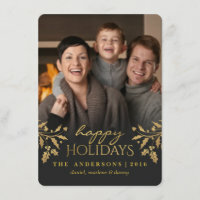 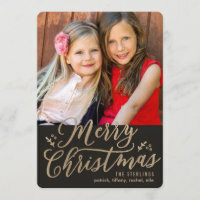 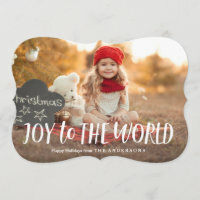 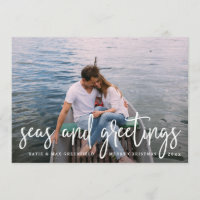 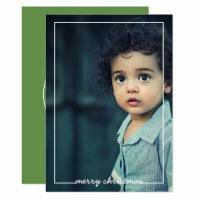 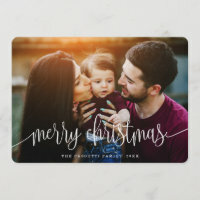 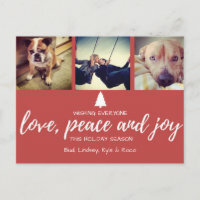 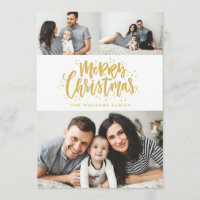 Modern typography based holiday photo card features your favorite photo with "Glory to the newborn king" alongside in white hand lettered style typography. 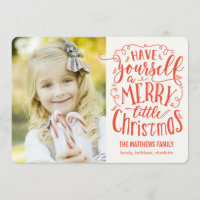 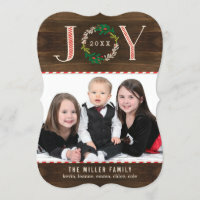 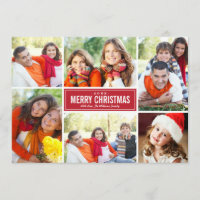 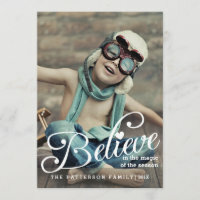 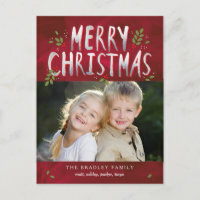 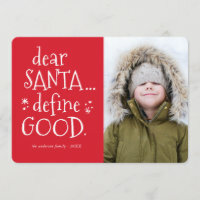 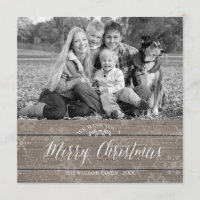 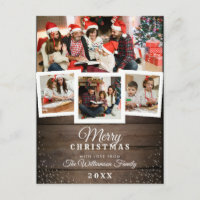 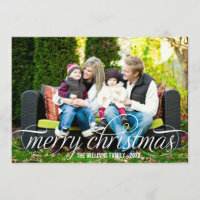 Personalize with your family name, individual names and/or your custom Christmas message. 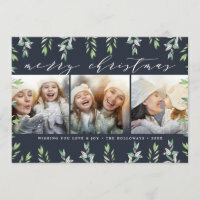 Cards reverse to a pattern of white snow and stars on a rich dark teal blue background.